I am back from my vacation and soooo behind! My phone broke while I was gone so I was forced to not work and enjoy myself! It was kind of nice I have to admit! My cute mom bought me this kimono at Target one day when I had, had a rough mom day! She is so sweet! I hope you are all having an amazing week. Your kimono is so pretty !! 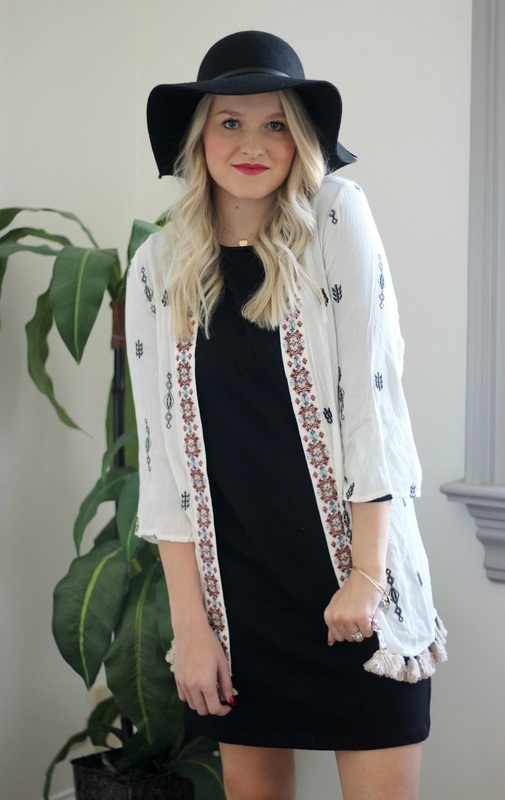 this kimono is too cute. Love how you styled it!! !